How do you react when you see a frog? Are you frightened and run away, fascinated and want to catch one, hungry and want to eat the legs, or disgusted and turn your head? Most frogs are quite important to the environment and to humans. However, there are a couple of frogs that are poisonous and deadly. Most frogs control garden pests such as insects and slugs. They also serve as a food source for many larger wildlife species. Also, frogs have been essential to several medical advances that help humans. New painkillers and antibiotics have been created due to research on the substances they secrete through their skin. 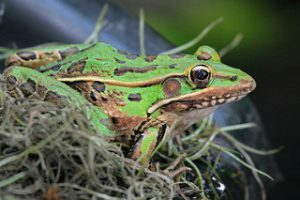 Most frogs are reclusive and harmless to people, but there are two species that have invaded Florida and can be harmful to humans and their pets. It is important to know the facts about frogs before touching one or consuming the meat. 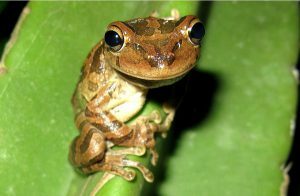 Invasive frogs, such as the cane toad and the Cuban tree frog cause problems on several levels, while the rest of the frog population are helpful. There are approximately 6,000 species of frog worldwide. Thirty species of frogs breed in Florida; 27 are native and 3 are non-native. Lay eggs in water, which turn into tadpoles and eventually transform into an adult frog. Male frogs croak to attract females. Depending on the species, breeding takes place at different times of the year. All toads and frogs are in the same order (Anura). A toad is a type of frog which lays eggs in long strands and other frogs lay eggs one at a time or in clumps. You cannot get warts from touching a toad or frog. That is just a myth. Frogs benefit natural ecosystems and humans by consuming insect pests and serve as predators and prey. 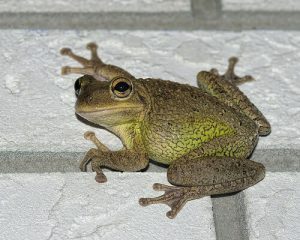 Many of Florida’s native frogs are common in “florida-friendly” residential areas. Frog populations have been declining, and some have even gone extinct due to disease, habitat loss, environmental contamination, invasive species, and climate change. Invasive frogs (Cuban tree frog, cane toad, and greenhouse frog) thrive in suburban neighborhoods and can increase population rapidly, laying thousands of eggs per year. 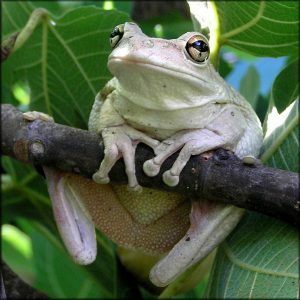 Potentially dangerous to humans and pets, invasive cane toads and Cuban tree frogs can be a nuisance and reduce people’s quality of life. Mostly predatory, they also have an effect on the ecosystems of the habitats they invade. Both eat a wide variety of native animals and insects, taking food away from the native animals. Cane toads are known to eat small native snakes, Cuban tree frogs hunt and kill Florida’s native tree frogs. Potentially toxic to dogs when bitten or eaten. Native toads are not a threat to pets or people. No knobs or ridges on the top of the head. Toxins can cause extreme irritation and possibly temporary blindness if it comes in contact with human eyes. Exude a noxious secretion from numerous glands on their back and can cause extreme irritation to mucous membranes and intense burning sensation in the eyes. Invade electrical equipment which can lead to short circuits and damage. Interfere with breeding of native frogs and their tadpoles, having a negative effect on tadpoles of some species. Learning about the difference between native and invasive frogs is very important to insure the safety of your pets and your loved ones. 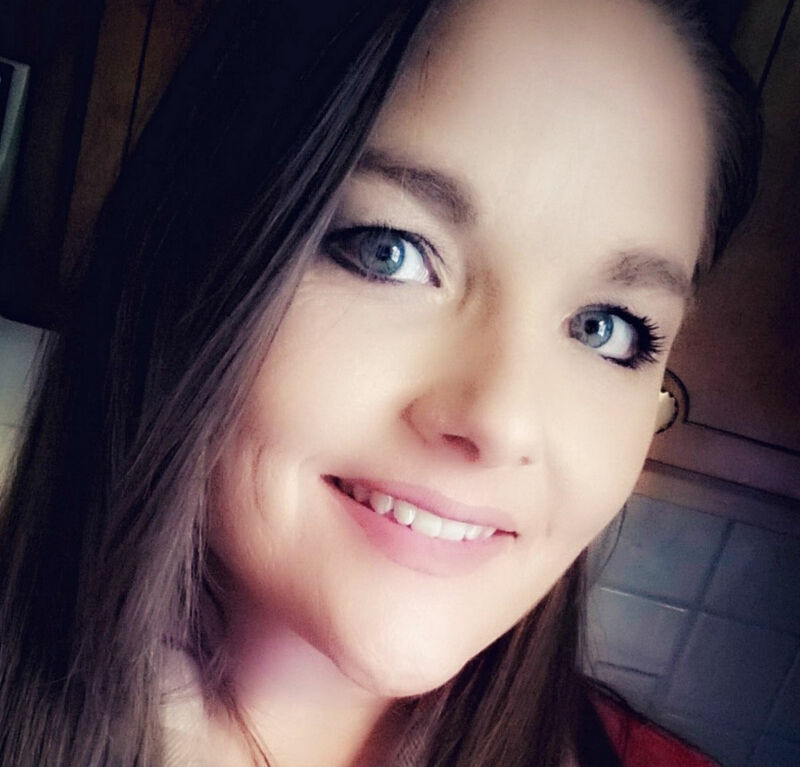 Several steps can be taken to assist in the prevention. Know the difference between native and invasive frogs. Native toads and tree frogs can be easily confused. Capture invasive frogs by hand, using gloves, and traps. Be decisive and swift when grabbing these frogs. Humanely euthanize them by applying benzocaine, or lidocaine, to the frogs belly, place in a bag and freeze. Do not translocate frogs elsewhere, it against the law without a permit. Bring in pet bowls at night, cane toads eat pet food left outdoors and soak in pet water bowls during dry spells-potentially poisoning your pet. 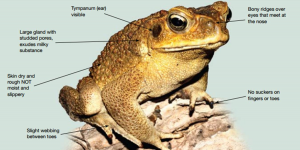 Accompany pets outdoors at dawn and dusk when cane toads are most active. Shut off lights that attract insects to your home. 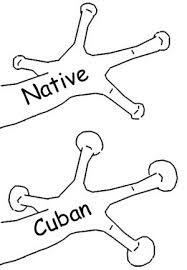 Not only does it attract Cuban and Cane toads, it will also attract spiders. Remove frog eggs that accumulate in standing water around your yard. Know what to look for. Maintain your swimming pool with regular chlorine and shock treatments to prevent egg laying. Remove debris piles and block access to hiding places, such as under a/c units, decks and around the edges of buildings. Call a professional if you need help with a nuisance frog problem. The Florida Fish and Wildlife Conservation Commission has a list of professionals that deal with nuisance wildlife. Note that hiring a professional can be expensive. More native and invasive frog information can be found at edis.ifas.ufl.edu. You can also contact your local UF/IFAS Extension Office.